ITCHS has always maintained that humor and comedy were distinct realities. 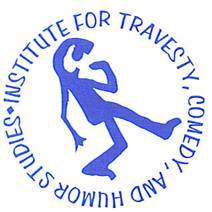 In more recent decades ITCHS has explored the structural and artistic interworking of humor and formal comedy, particularly in Comedic Tenor, Comic Vehicle: Humor in American Film Comedy and A Cheshire Smile: Humor Texture and Personality in Shakespeare's Comedies, using the Humor Quotient Test as a backbone for this investigation. The advances in understanding resulting from this approach begged the question could a better understanding of tragedy, and particularly Shakespearean tragedy, be found by seeking analogs between comedy/humor and Shakespearean tragedy/Shakespearean tragedic language. The first steps of this investigation have resulted in In Search of Shakespearian Tragedy: Tragedic Language, Tragedic Form (Dusseldorf: Lap Publishing, 2016). https://www.amazon.com/Search-Shakespearean-Tragedy-Tragedic-Language/dp/3659951854. In Search of Shakespearian Tragedy (ISST) fundamentally argues that Aristotle in The Poetics is the eminent critic of Greek tragedy, but Greek tragedy is only one of many sub-genres of tragedy. Neo-Classical critics routinely recognized that Shakespeare's tragedies didn't live up to unities of time, place, and action—and a great deal else in Aristotle's definition. These critics chose to damn Shakespeare for these defects—damn Hamlet, damn Othello, damn King Lear, damn Macbeth. ISST instead defines or partially defines Shakespearean tragedy as a new tragedic sub-genre. Central to Aristotle's definition is a sense that appropriate language is part of the definition of a genre. The modern street definition of comedy accepts exactly that—humor is at the heart of most (but not ITCHS') definition of comedy. It is, therefore, necessary to ask what Shakespeare's special language was for tragedy. ISST's answer is to establish a quadrilateral of four basic sub-types of poetic language: Aptness, Assessment, Eloquence, and Elegance. The first two of these are approaches to truth. The second two are approaches to beauty. In this truth-and-beauty sense, Shakespeare anticipates Wordsworth, Coleridge, Byron, Keats, Shelley, and the Romantics. Equally, our quadrilateral divides between matters of expression (Aptness and Eloquence) and deep thought (Assessment and Elegance). The thought/expression dichotomy is typical of Roman classical rhetoric whether in Horace, Longinus, Cicero, or Virgil.